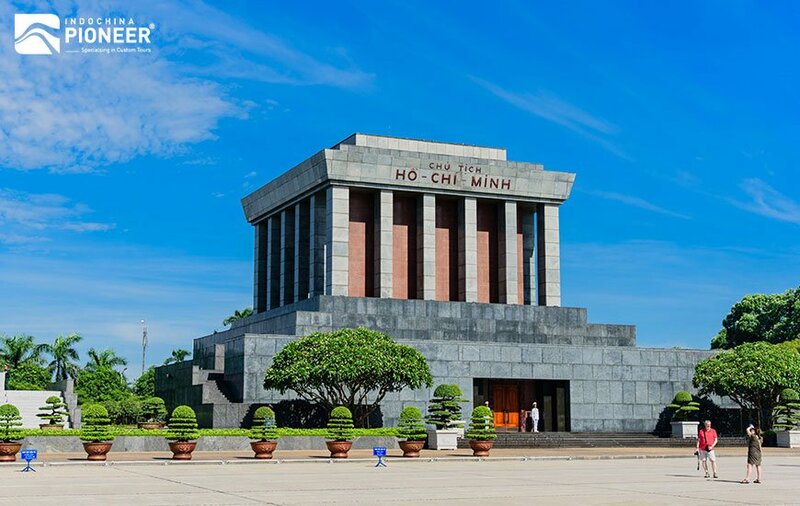 Arrival at Hanoi’s Noi Bai International Airport, collect your luggage and process through custom. 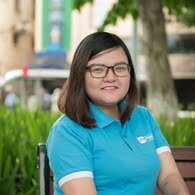 Your private tour guide and driver from Indochina Pioneer will be waiting for you outside the baggage claim/ custom area to transfer you in a private vehicle to the hotel in downtown. While every effort is made to have your room available upon arrival, check in time is at 02:00pm; your room may or may not be ready before this time. 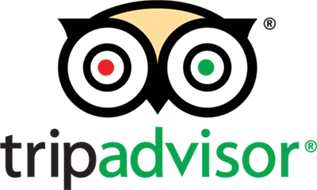 Your tour guide will provide additional details regarding your stay, and you will be able to ask any questions you may have. Have a rest before the exciting evening food adventure and nightlife experience at 17.00. 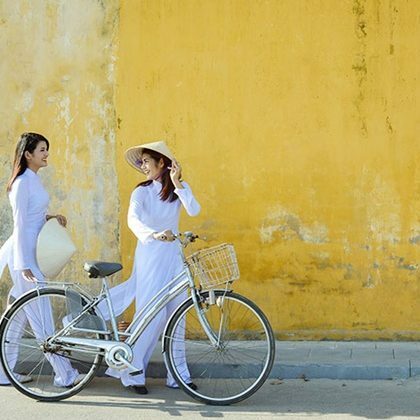 Your guide will take you on a walking tour of Hanoi Old Quarter combines with food tasting and off-the-beaten track sightseeing. 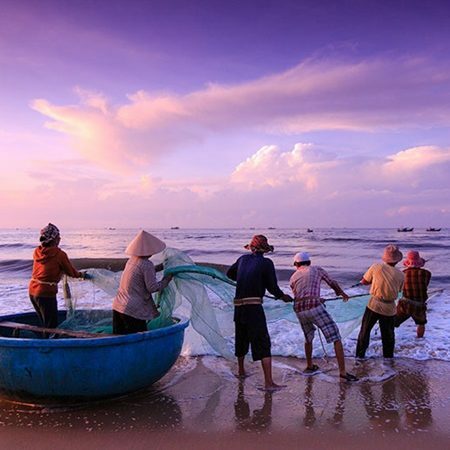 This tour is designed to give you the confidence to go out and try street food on your own when you visit a heaven of street food as Vietnam. 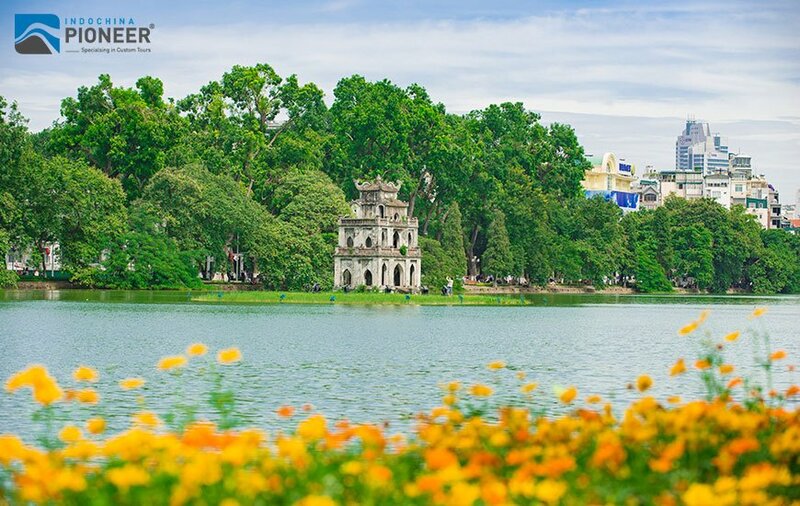 You also discover a different Hanoi – not beautiful decorating restaurants. 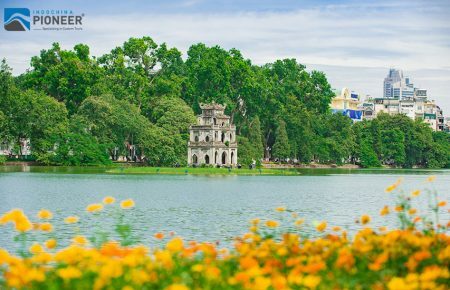 This tour is a delicious and fun way to explore Hanoi just like a local. During our walk you will have plenty of opportunity to interact with the locals and sample various street food such as Banh Cuon (Vietnamese Steam Rice Rolls), Banh M (Vietnamese baguettes), Bun Cha (grilled pork with vermicelli and herbs), Nom du du (papaya salad) and Banh Xeo (Vietnamese Pancake). 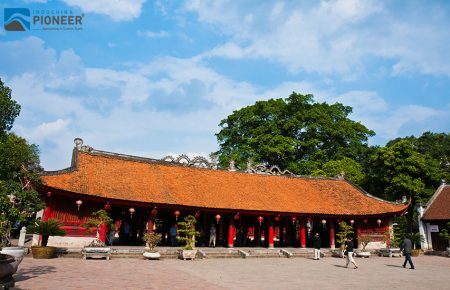 Your local guide will then take you to one of Hanoi’s best kept secrets, a hidden café. This hard-to-find café is one of the few left in the city that still serves egg coffee, a scrumptious local delicacy that we will sample. Or, if coffee is not your style, a cold beer awaits! 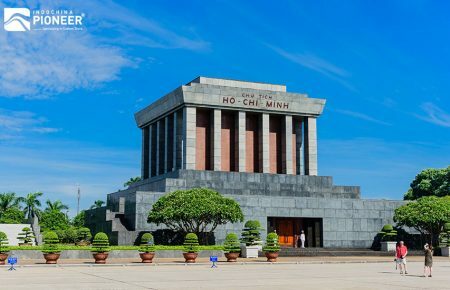 After breakfast, your adventure tour in Vietnam begins as your private tour guide picks you up and takes you on a full-day city tour of Hanoi, famed for its tree-lined boulevards, French colonial architecture, and a thousand years of history. Below are the recommended sites, but of course, your guide will be happy to modify the list based on your preferences. Today you will have Pho for lunch at Pho Huyen, a Vietnamese Noodle shop. Some of the local people call this world famous Noodle soup “Mac-Noodles” since it is as popular here as MacDonalds is in other parts of the world! At the restaurant your tour guide will explain the routine during Vietnamese meal times, and also tell you which special ingredients are needed for you. After lunch, return your hotel for some rest before strolling along the iconic Hoan Kiem lake and the most exciting shopping part of the Old Quarter including Hang Gai– Hang Bong – NhaTho street, the best place to pick up some high quality, fashionable silk items, lacquer ware, embroidered goods, and ethnic-minority crafts; Hang Dau (Shoes street), where hundreds of shoe-sellers lining. 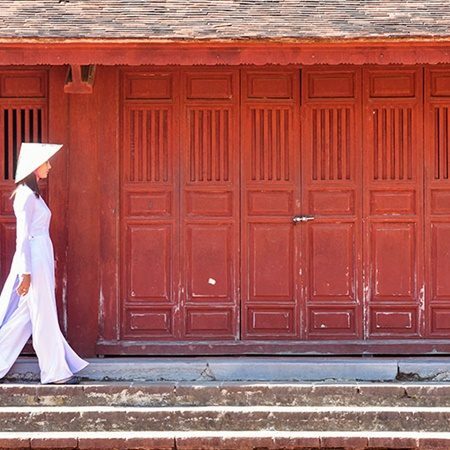 Most of the footwear consists of brand names made at Vietnamese factories that have been rejected as seconds, making them a great purchase with usually only a small imperfection. There are also plenty of fake North Face items, Samsonite bags where Hang Dau Street meets Lo Su. Be picked up by the private car for a 20-minute drive to Japanese retail giant AEON Shopping Mall. Here you can spend 1 – 2 hours at the huge Japanese food court, shopping for local brand clothes (Cafina, Bata, The Blue Exchange, etc.) 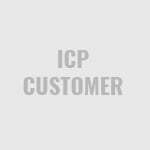 at remarkable good price, as well as households and other stuffs. Finish your shopping and get back to the hotel at about 18.00. 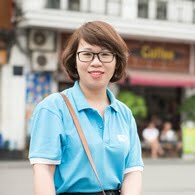 Meet your tour guide at your hotel and start a 2 hour road trip toward Ninh Binh Province. 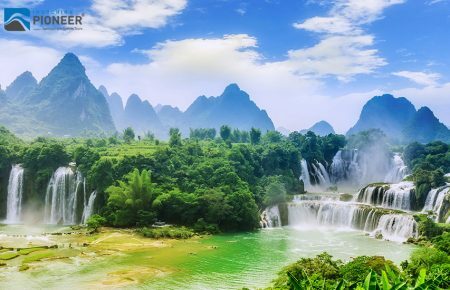 Around 10:00am, you will arrive at Hoa Lu. 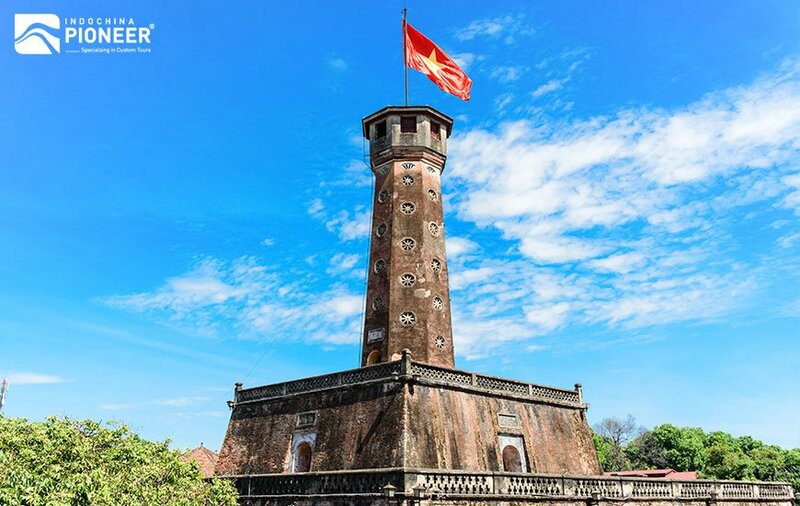 Here you will visit the Ancient Capital with the remaining two temples of Dinh King and Le King. 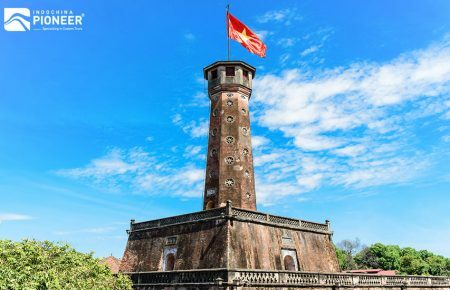 This visit offers you a chance to learn more about part of feudal dynasties in Vietnamese history, as well as the old feudal architecture of Vietnamese Temples. 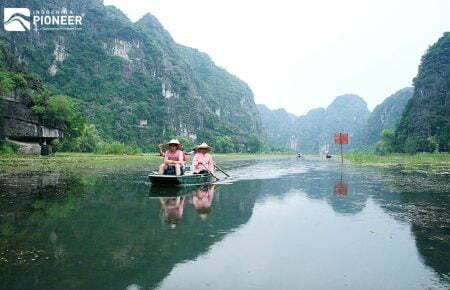 Leaving Hoa Lu you proceed to Tam Coc. Lunch will be served at a local restaurant (service local specialties. Vegetarian meal is upon request). After lunch you will take a 5 minute-walk to the docks to embark on a three hour-boat trip to visit Tam Coc (you will sit on a sampan boat with local rower). Known as “Halong Bay on land”, Tam Coc are three limestone caves stretching along the splendid Ngo Dong River. 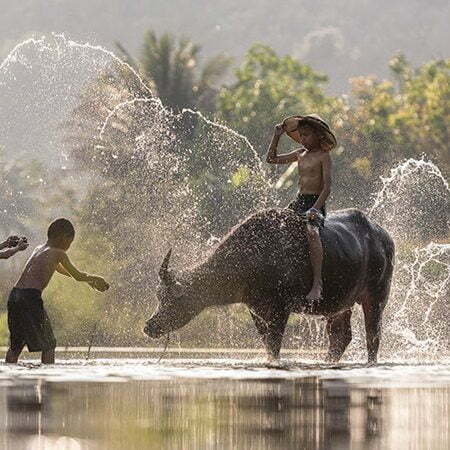 During the boat trip you will enjoy the majestic and impressive natural landscapes reflexing from the spectacular Limestone Mountains, rice paddies and temples. 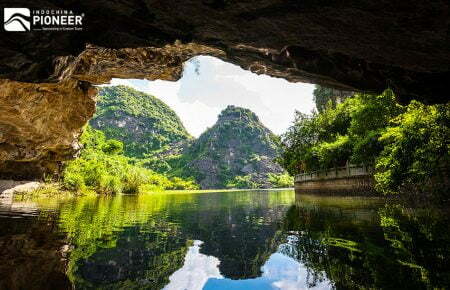 You also explore three caves including Hang Ca (first cave), Hang Hai (second cave) and Hang Ba (third cave). Return to the docks you will enjoy a leisure bicycle ride through the village lanes. Arrive at a mountain where you will climb a few hundred steps to visit Mua Cave and a small temple of Quan Am (the Goddess of Mercy. 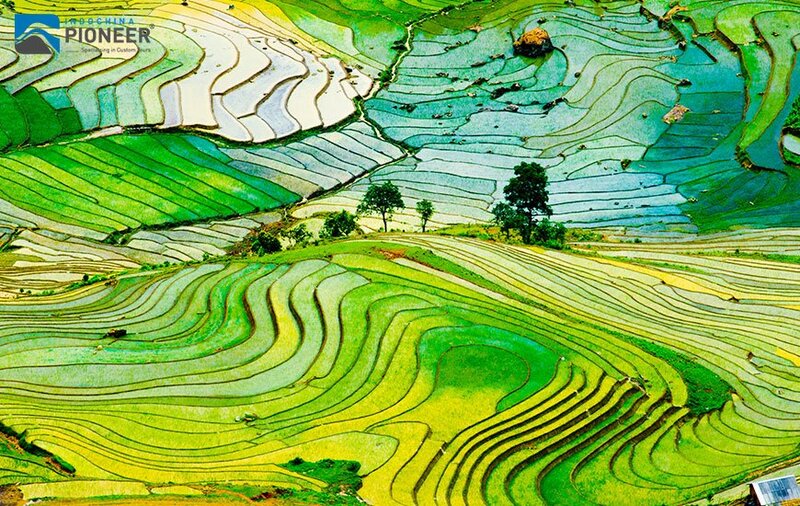 From the top you can enjoy the panorama view of the amazing rice paddies and the Ngo Dong River below. A perfect spot for Facebook Portrait. 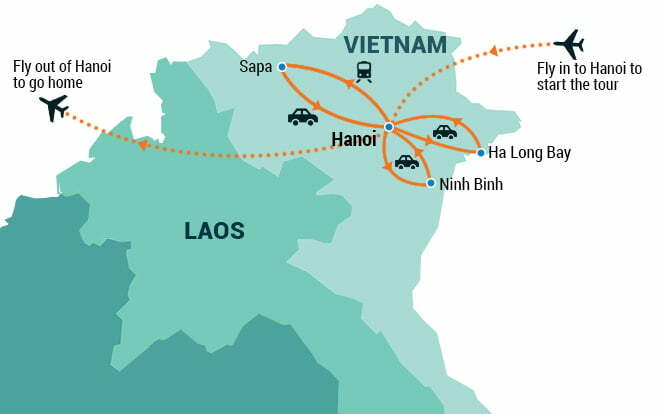 Tonight your guide and driver will transfer you Hanoi Train Station at Tran Qui Cap Street to board the night train to Lao Cai. The train leaves around 21:00 and arrives in Lao Cai City at 06:00 in the next morning where you travel 1 hour to Sapa. You will arrive early in the morning in Lao Cai station (approx. 6:00). 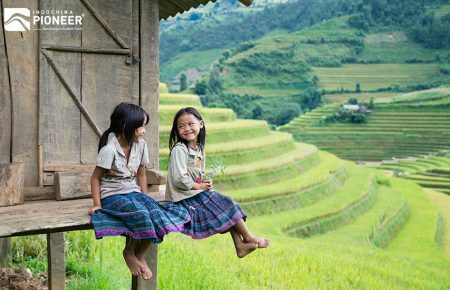 At the train exit you will be collected by your private guide, and driven in a private vehicle for 1 hour trip to Sapa, the former French Hill station. Enjoy a short rest and breakfast at the hotel (arranged by Indochina Pioneer) before a discovery tour of Sapa and surrounding. 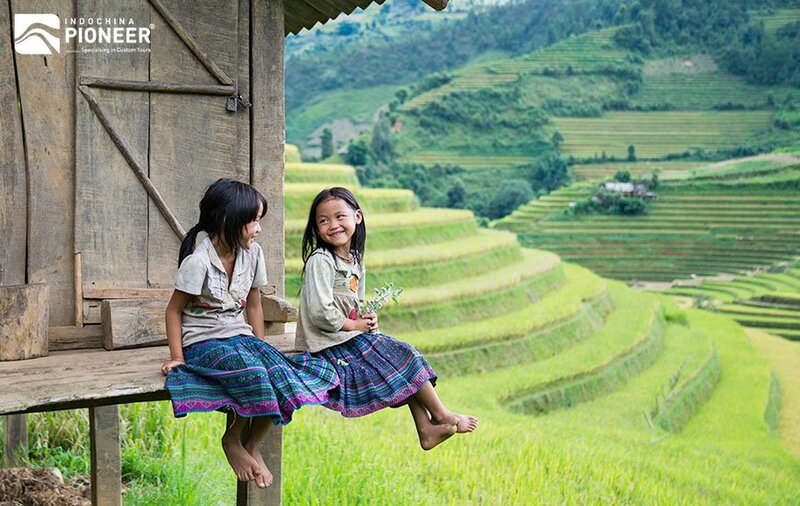 With your guide you will start a leisure trek downhill to Cat Cat village for breathtaking scenery of rice terraces. 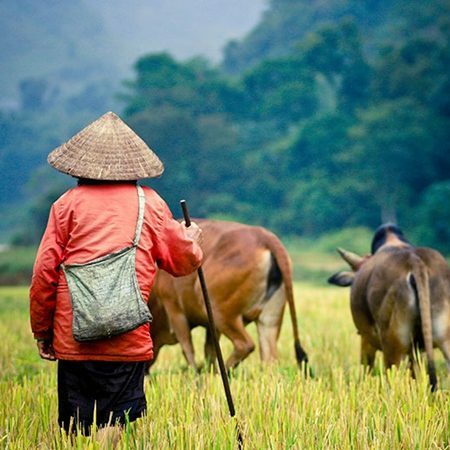 As you walk through these villages nestled in the valleys below Sapa, you will meet some of the local ethnic minority people such as Black H’mong and Red Dzao. Leaving Cat Cat villages you will enjoy a fun motorcycle ride for 15 minutes to drive uphill to Sapa. Check in to your hotel room and rest afterwards. 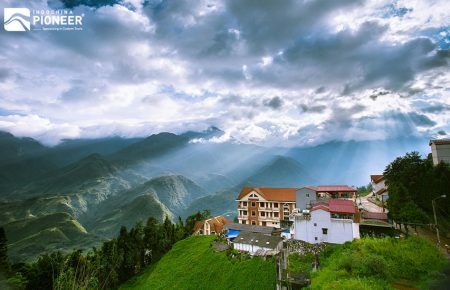 In the afternoon, your guide and driver will transfer you to Fansipan Legend Cable station, which is about 15km away from the Sapa center. Here you will enjoy the cable car ride from the base of the 3,143-metre Fansipan Mountain to its highest peak within 15 to 20 minutes when it normally takes one – two days to trek to the top of the famous Fansipan Mountain, so-called the Rooftop of Indochina. Kindly note that there is no presence of tour guide in this activity. 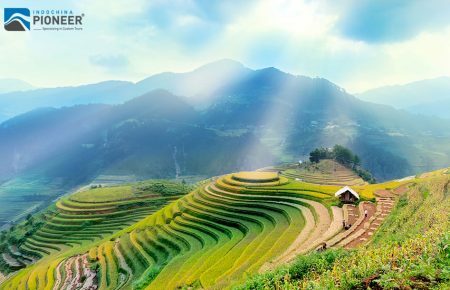 Sapa is an incredibly picturesque village that lies on the Hoang Lien Son mountain range near the Chinese border in North West Vietnam. 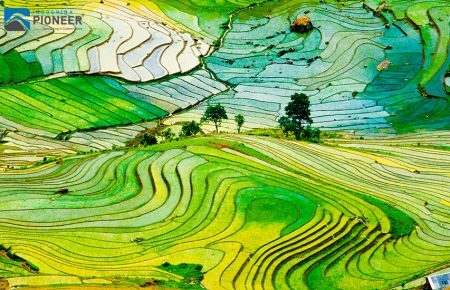 It is called as “the Tonkinese Alps” You can see many hill tribe people, their villages, rice terraces, lush vegetation, and Fansipan, highest peak in Vietnam. After breakfast at the hotel, we begin the day with a 3km trek through breathtaking landscape to Matra village, where you will come across the impressive ruins of a church dating back to the French occupation in the early 1900s. Take a minute to explore this intriguing sight and take some photos. Have picnic lunch on the way. 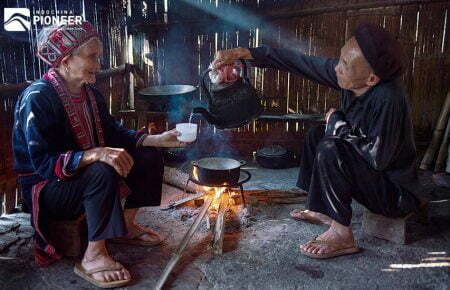 In the afternoon, trekking to the village of Ta Phin you will be able to meet both Black Hmong and Red Dao minorities. 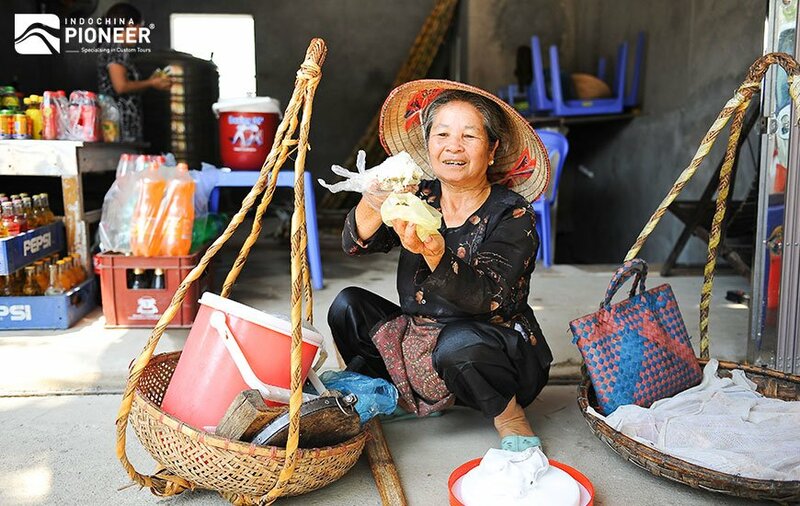 The Red Dao is known for their expertise in herbal medicine as well as usage of plants from the land to treat many illnesses. Your guide will be able to introduce you to some Red Dao women who can tell you more about their many remedies. A Red Dao herbal medicine bath (this is an option, booking is upon request) can be arranged for you to experience at Red Dao Spa Sapa. After that transport will be provided from Ta Phin back to your hotel in Sapa town. The hotel will allow you to have some shower at their restroom. 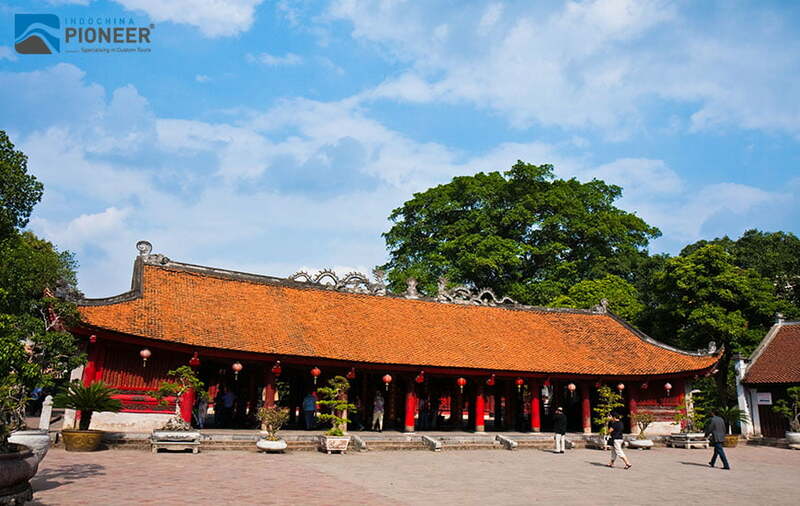 Then collect your luggage and catch the Express Bus to return Hanoi. 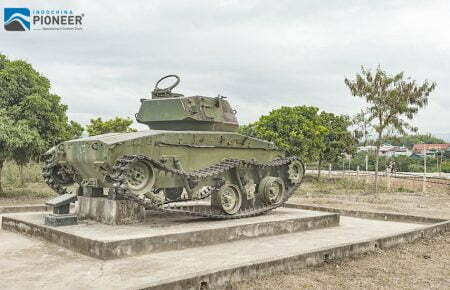 The bus leaves at 16:00 and gets back to Hanoi around 22:00. 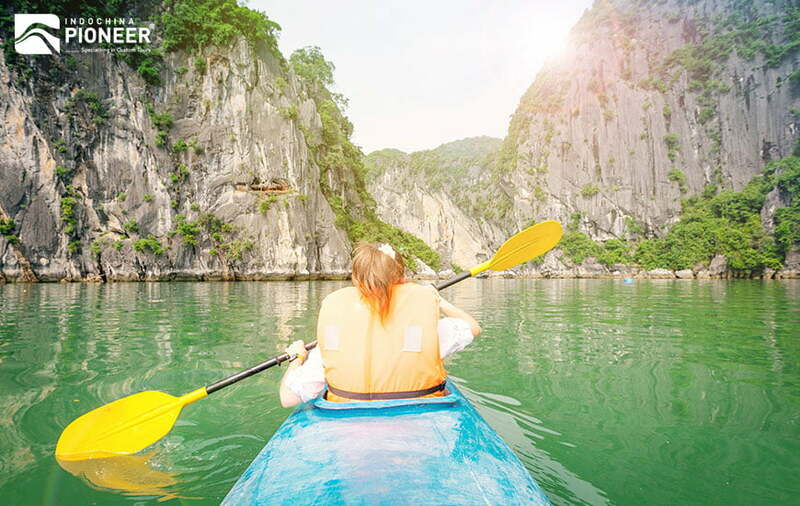 Enjoy a good night sleep and get ready for the Halong Bay trip tomorrow. The relaxing cruise trip will be certainly happy ending. You are deserved it! 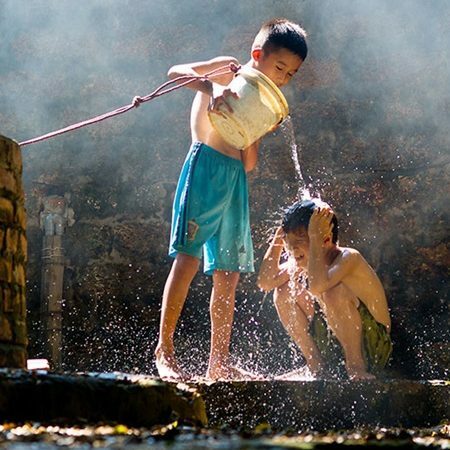 After breakfast you are collected from the hotel lobby and transferred 4 hours (140 kms) from Hanoi to Halong Bay. 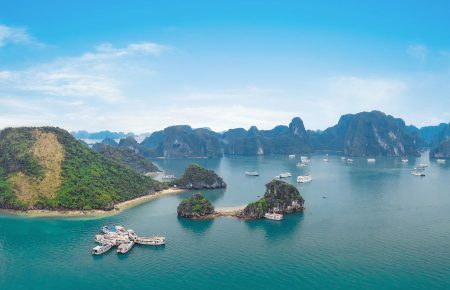 As Halong Bay is so popular, there are usually a crowd of boats at the docks -please be reassured that the cruise itself will be scenic and relaxing. 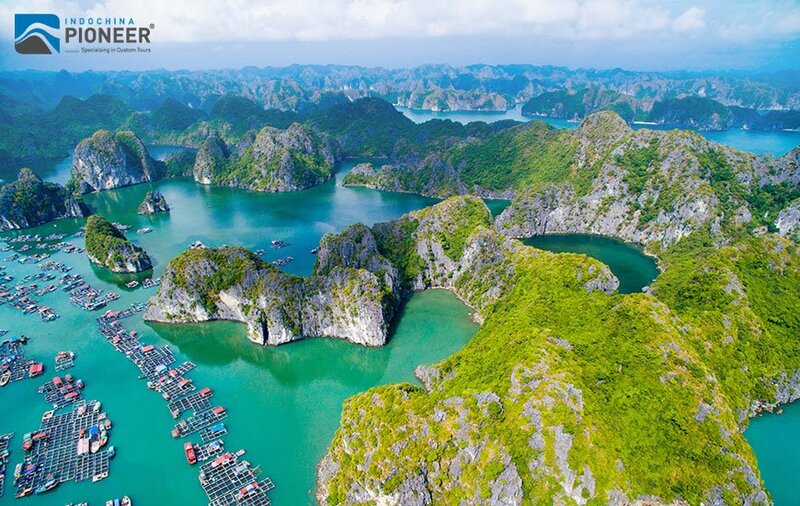 Halong means: “Descending Dragon” in Vietnamese and it is not difficult to see why the bay got its name. 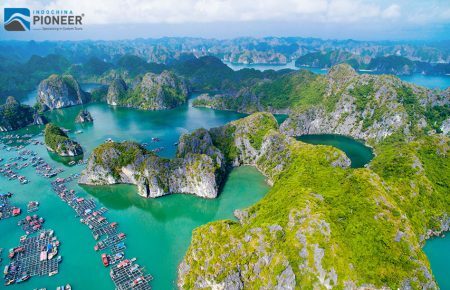 It is an area of great natural beauty, with waters studded with thousands of islets covered in green foliage, sheer cliffs and caves. The bay was used by smugglers in times past, seeking hiding places in the countless hidden inlets and caves. 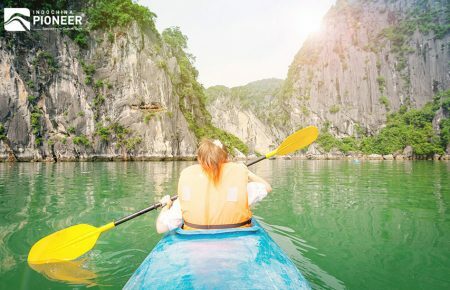 The islands are cut into dramatic formations and local legends and stories abound, inspired by the shapes which have been likened to chickens, dragons, and on a more modern twist, General De Gaulle’s nose. 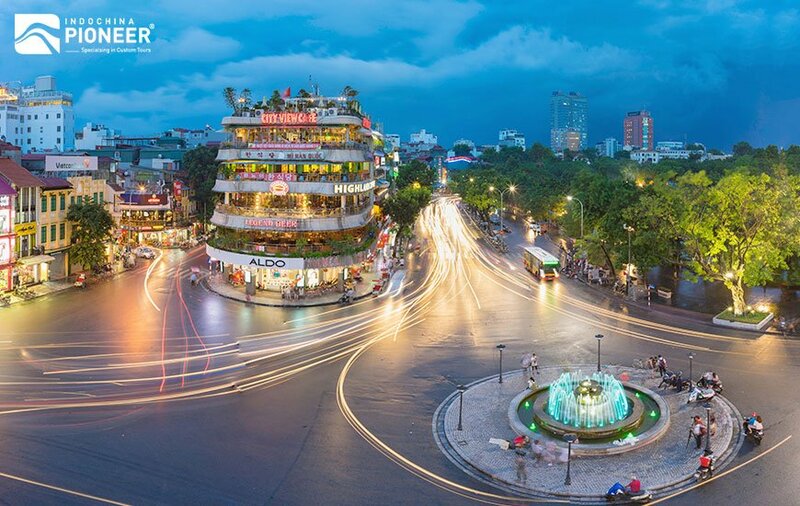 Return to your hotel in Hanoi.